GWOF's management team is responsible for all aspects of the management of the Fund. This includes determining the strategic direction, managing assets, acquiring and selling properties, accessing funding and providing appropriate services to investors. In addition to a dedicated team, GWOF draws on the wider resources of the GPT Group providing access to specialised services and teams for the benefit of investors. Martin has been Fund Manager of the GPT Wholesale Office Fund since its inception in July 2006, and has 27 years’ experience in commercial real estate. As Fund Manager he is responsible for the overall strategy and performance of the Fund, capital management, development, acquisitions and divestments. Martin joined GPT in 2001 as Office Investment Manager and was responsible for the financial performance, asset management and leasing within the GPT Office Portfolio. In this role he was responsible for all the seed assets prior to the launch of the Fund. From 2004 to 2007, Martin was responsible for initiating and managing the Sustainability program and targets for the GPT office portfolio. His previous experience includes more than seven years at Knight Frank, Sydney where he was a director, responsible for the management and leasing of landmark Sydney office buildings. 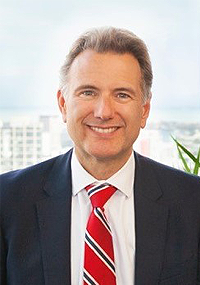 Prior to relocating to Australia in 1993, Martin spent more than three years with Baker Harris Saunders in London, responsible for leasing office space. Kit has over 12 years of experience in the real estate sector. She joined GPT as Head of Product Development within the Funds Management team where she was heavily involved in developing and executing GPT’s funds management strategy. This included leading the IPO of the GPT Metro Office Fund in 2014. Prior to joining GPT in 2012, Kit had nine years of investment banking experience at Macquarie Group where she advised real estate groups on a variety of corporate transactions including mergers & acquisitions, listed equity raisings, unlisted fund raisings and general corporate advisory work. This included being heavily involved in the establishment of GWOF and GWSCF, in 2006 and 2007.